Does that sound like you? Running, returning? Running, returning? Is your day filled with kids’ sports practices or games, errands to run, committee meetings to attend, business meetings or home business functions to attend to, chores to do? Do you flap your wings of busyness but don’t seem to get anywhere? Do you go in four different directions at once? Do you flit about but miss out on hearing God’s voice? Hmmm…when they halted their fluttering, when they stood still and let down their wings, they heard God’s voice. How does this apply to us? With unfurled wings, we flap around in frustration. We flit about doing our own thing. We dart sideways in anxiety. If we continuously flutter our wings of busyness, we have no time for the Lord in our schedule. And we will not hear His voice. Energy is wasted. Time is lost. And eventually, we will wear out if we do not slow down and hit the delete button on a few things in our lives. The saying is so true: Master time or it will master you. Jesus took time to slow down and be with His Father, going off to the solitude and serenity of the mountainside or the gardens to pray. And He rested by the well. Distractions are everywhere. Therefore, we need to let down our fluttering wings. Hush the world’s din and confusion. Rest our harried minds. Get quiet in the presence of the Lord and allow the Holy Spirit to calm the chaos and bring peace and harmony to our frustrated souls. And wait. Wait to hear the Voice of the Ages as He whispers those precious words of love, peace, comfort, and guidance to us. “Do not rush into My presence looking at your watch. The busyness of life derails your attention. Let down the wings of your disquieted and busy spirit. Prepare by being still. I will be found in quietness and stillness. Be still and know. Be silent. Silent rearranged is listen. But it also forms the word enlist. When we are silent and listen to the Lord, we enlist His help and support. Oh, how souls sadly lack when they make no time for the Lord. So much more is accomplished, with so little time expended, when one kneels in prayer…and listens! Prayer: Lord, help me to make time to be with You, to block out the discord of the world, to still my spirit before I come to sit at Your feet. As I fold down my wings of busyness, I will hear Your sweet words of grace and peace. Lord, may my time be Yours. And when the world swirls around me, diverting my attention from You, may my heart be drawn back to seek the comfort of Your presence. May I be silent and listen. Amen! ***If you missed Part 1, it can be found here. Those who have prayed effective prayers, prayed boldly because they expected God to reply. Joshua and Elijah were two of them. Joshua prayed and the sun stood still for twenty-four hours. Elijah prayed that the rain would cease because of Ahab’s allowance for prolific idolatry. And the rain ceased for three and one half years! Later, he went to the top of Mount Carmel, bowed his face to the ground and prayed for it to rain again. And it did! He said he heard “the sound of abundance of rain,” (1 Kings 18:41 NKJV) even before a single drop had fallen. The Greek word for avails, strength, and strong also means to have or exercise power, prevail, be a force, capable of producing results, and so on. The word for effective and fervent means to show self to be active, operative, or efficient, be mighty in, work effectually, putting forth power, and so on. Lynn’s Version might say this: “The petition of a righteous one has great strength, prevailing force, and is capable of producing results, being made active, operative, and mighty in its working.” Whew! That’s the kind of prayers I want to pray…and have to remind myself! 6) In expectancy…James said, “But when you ask [God], be sure that you really expect Him to answer.” (James 1:6 NLT) Why ask if you don’t expect results? The external effectiveness is only able to perform to the extent of the internal intentness. I had to stop here. There’s soooo much about prayer in the Bible and this got too long. I kept chopping out good parts and didn’t want to lose any of it, so the reminder of the post will be next time. I hope you will join me. And in the mean time, may you pray BOLD and EXPECTANT prayers! Prayer is a conversation with the God of the universe. Wow! Isn’t that an awesome thought? I think we sometimes forget how wonderful that truly is. And what a privilege it is. A communing with the Lord of lords and King of kings. Hearing His whispers into our very souls. For guidance, comfort, discipline, encouragement, strength, joy, and all the other things He desires to give us. It is a dialogue, a discourse. Prayer is not an “open-says-me” list of requests or formulas. We somehow formulate an opinion that there must be some recipe or blueprint to follow. Prayer does not have a formula. However, there are certain conditions to consider if we desire to pray correctly. And receive the answers we need. Along with this model prayer, Scripture advises us to get away and be alone with God, even closing the door to our room/closet (Matt. 6:6), to not be like the hypocrites (v5), to not be repetitious (v7), and to forgive others, otherwise we are not forgiven (v14-15). The Bible also tells us to pray 1) to the Father, 2) in Jesus’ Name, 3) in faith, believing we receive, 4) according to His Word, His will, and His promises, 5) in boldness, 6) in expectancy, 7) in patience, 8) with the Holy Spirit’s help, 9) until we have peace, and 10) with praise and thanksgiving. 1) To the Father…as Jesus taught the disciples. 4) According to His Word and His will…The above verse is not selfish name-it-and-claim-it; it is having faith to ask in accordance to God’s Word and will. ***Join me next time for the rest of the story! May all your prayers be offered in Jesus’ Name, in faith, believing you have received, and according to God’s Word and His will, so that you receive all His best YES answers! After watching a program on the National Geographic channel, Mr. M told me about the characteristics of the mongoose and the snake, most notably the cobra. And the light bulb flashed on again! I did a little digging and added some to his observations. The mongoose is a scrappy mammal, a small yet bold carnivore found mainly in Africa but also found in southern Europe and southern Asia. Within its body, the mongoose has receptors so shaped that it is impossible for a snake’s neurotoxin to attack them. If not for the receptors neutralizing it, the deadly toxin would shut down the mongoose’s system. When confronted with each other, the mongoose and snake stare each other down before attempting to attack. But being an agile and fierce fighter, the mongoose will run circles around a snake, tiring it out, as it is not able to turn easily. The mongoose seizes the opportunity by flipping the snake into the air and then sinking its teeth into the snake’s head, paralyzing the snake. Sometimes, the mongoose eats the snake, and sometimes, it doesn’t. Also, the claws of a mongoose are visible all the time; they are non-retractable. I found all this very interesting. And the wheels started to churn. * …seizing the opportunity and paralyzing his slimy attempts with God’s Word, just as Jesus did in the wilderness. * …remembering you have a God-shaped receptor within your heart. The Holy Spirit. To neutralize the enemy’s deadly toxin of doubts, discouragement, worry, and negative thinking. We can be as the mongoose: small yet bold, a fierce fighter, paralyzing our enemy! *Today, I am happy to bring you a post by my e-friend guest Deborah K. Anderson. Enjoy! Several years ago, my father-in-law was diagnosed with lung cancer. At the same time, my elderly mother suffered a second mini-stroke, followed by a fall. In addition, I was going through personal trials of my own. I desperately needed a touch from God. No matter what I said, though, or how hard I prayed, I couldn’t hear God’s voice or feel His presence. I pressed on anyway, hoping to move the heart of God. “God, where are you? Why do all these things keep happening?” I hung my head and wept. A few moments later, my cat Bear sashayed into the room, bellowing. I adore my cat (and all other animals for that matter), but I didn’t want to be bothered. I felt as though I was ready to snap. I looked down at him, and as usual, the black ball of fur tugged at my heart with one glance. “What are you crying about?” I picked him up, scratched behind his ears, and kissed the side of his face. I knew if I coddled him a bit, he’d go back about his business. Soon, he began purring, so I put him on the floor. Within seconds, he started meowing again. “What is wrong with you?” I said. He just looked at me. I was sure the poor critter was sensing my feelings, so there would be no shutting him up any time soon. I headed downstairs, hoping to find a quiet place to pray. As I reached the last step, Bear’s paws came padding down the stairs behind me. Please, God, make him go lie down or something. I can’t take much more. But the little critter persisted following me through the house, no matter where I went. I finally ducked into the living room, thinking I had lost my private-eye kitty. Seconds later, he jumped in lickety-split behind me. As I looked in my animal’s eyes, something strange happened. I’m standing right here, in front of you, too, daughter, so why do you keep crying and asking where I am? Why do you keep wandering around looking for me? Tears filled my eyes as I looked at Bear. He had suddenly grown quiet, his golden eyes wide in wonder. I then noticed how he’d tugged at my heart without ever making a sound—the same way I had tugged at God’s heart, only I didn’t realize it at the time. I picked up my pet and rested him over my shoulder. I began stroking his fur. Soon, he was purring, content in my arms. “Father, forgive me,” I said. When the storms of life come our way, it can be so difficult to see, especially when the rain begins pelting us. But God is always there, even when we don’t think that He is. It’s during those times we can find rest in His arms. ***You can visit Deborah on her site Faith, Fiction, and Unvarnished Truth. I sit…comfy, cozy, snuggled up in my blue blankey on the couch. Outside my window, the brown, crimson, and gold leaves fall like rain, helpless against the strong winds of Sandy’s outskirts, and blanket the cold, wet ground. The blanket of gray sky brings a chill just to look at it. I sit…viewing on TV a huge chunk of the nation under a blanket of turmoil. Some places look like a war zone. I turn it off. My heart aches. I sit…in the quietness, listening as the furnace produces its blanket of warmth for me while millions suffer Hurricane Sandy’s bare exposure to the elements through the loss of electricity and even their homes and loved ones. I sit and pray…for blue blankeys of comfort for everyone. I sit and pray…for those stripped powerless by the surging fury of Sandy. I sit and pray…for those who have lost a loved one to Sandy’s death grip that ended their lives. I sit and pray…for those whose homes have succumbed to the vicious force of hurricane winds. I sit and pray…for those who put aside their own safety to place themselves in harm’s way for the safety, protection, and rescue of strangers. I sit and pray…for churches and organizations already stretched in this economy to reach out and help those suffering losses from Sandy’s demolition. I sit and pray…for those far removed from the effects of the storm that their hearts will be touched to dig into their shallow pockets to help those they do not know. I sit and pray…that the Lord will be sought by all. ~Lord, bless all those suffering and in need. Blanket them with Your strength, provision, comfort, and peace. Make Your Presence known to them in a very special way. Amen! Who: The lucky three: Peter, James, and John. 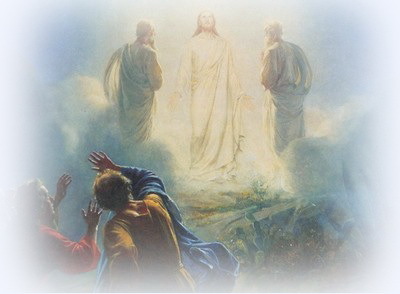 What: Jesus leads the three on a climb up the mountainside. A climb that will change their lives forever. They trudge their way through trees and rocks hundreds of feet up the lofty mountain, a long and arduous climb. The men labor to breath; their lungs work overtime. Small beads of sweat expand into streamlets emptying into their beards. Their leg muscles feel heavy and begin to burn. Each step puts more distance behind them and the swarming crowds, the hypocritical Pharisees, and the demands on Jesus. Yet, in their climb, they enjoy softly brushed clouds against a swash of blue sky, a cooler temperature, and the fresh smell of pine trees. Finally reaching the top, they sit down to rest and allow the gentle breeze to refresh them as they look out on the remote valley below them. Jesus falls to His knees to pray. The disciples follow His posture, but tired from the strenuous climb, they fall asleep. As Jesus prays, His appearance alters. A divine radiance transfigures Jesus, as if heaven has sent blazing rays of firebolts to shoot out from Him. His face glows with a dazzling luster, shining as the light of a torch; His robe glistens with an ethereal white. What a privileged sight for the three disciples! Privileged to see the glory that has been pulsing within Jesus’ human form, now bursting forth from its concealment. In that aurora of light, all else fades into a vaporous void – trees, rocks, grass, all blanched by the glory. But what’s this? Squinting and rubbing their eyes, they see Moses and Elijah standing and talking with Jesus. Moses, the representation of the Law. Elijah, the representation of the prophets. Jesus, standing between them, the fulfillment of both. Oh, how He must have wanted to go back to heaven with them. But as he speaks, a luminous cloud overshadows them in a haze of brightness, encompassing all of them. The resonance of the voice cleaves through the rarefied air. The mountain quakes. The disciples slump to the ground as if struck by a bolt of lightning. Too terrified to look up. Again, the voice, “Hear Him!” (Matt. 17:5b NKJV) And it was gone. When they look up, there is no Moses. There is no Elijah. No more bright cloud. Just Jesus, as He’s always been. * Do we follow Jesus’ example and pray or do we fall asleep? * Do we enjoy the climb, or do we complain with every step? * Does the climb change our lives forever? * Do we listen to the Lord’s voice and consider what He says? Or does a lightning bolt have to strike us before we will listen? In your life, do you ever climb with Jesus? What pales in the light of Christ? Do you hear Him?